Pu’erh can age for a very long time.. We do not know what these teas will taste like in five years. In my opinion, Marco is quite clear about this. Part of this may be language or cultural misreading.. In the west we are operating in the dark for tea storage and this sort of empirical experimentation should be greeted with massive applause. It’s something that can be re-creatable and have massively positive implications if it works out. At bare minimum, the hotbox will be something to learn from. I think another important implication is that once someone is controlling heat means there is a whole spectrum of parameters that can be used. You can store it at 23C or 28C or 33C or at 38C. These temperature differences should have dramatic impacts on the tea’s maturation long-term. The above criticism might apply if the tea is stored at 33C, but may be a lot less relevant if it were at a constant 23C. Someone could even try storing it at a couple different temperatures over the course of a year to replicate different seasons. 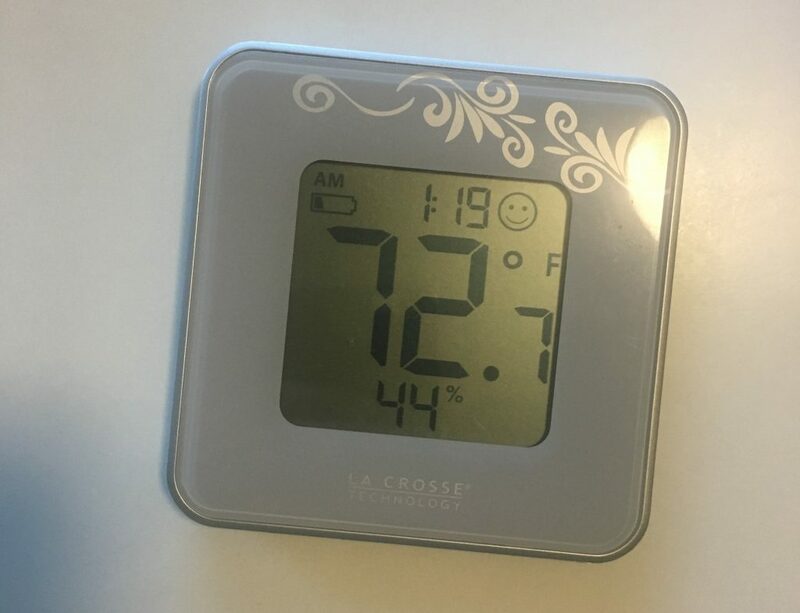 I’ve had multiple people with varying storage setups ask me if their tea is drying out or why they’ve got mold… When questioned what specific temperature and humidity they’ve been storing it at they have no clue. Temperature, humidity, and dew point don’t tell you the total story but they can tell you a lot. Do your due diligence. If you know what your storage is like and are OK with it, fine.. But don’t expect a great answer if you don’t know what conditions your tea is at. Western storage is a big unknown. Smell, look and feel test are fine. and you may believe in the art of storage, but to me that is still not a valid reason to immediately handicap ourselves from making smart decisions. Hygrometers typically run $10 or less and don’t take up much room, Make sure it is calibrated. These give simple but valuable information about your conditions. Since most people are storing their tea inside, outside temperature data is totally insufficient.. In my opinion, if you’re doing anything with pu’erh storage in the west and want to have at least a basic diagnostic sense of how it is being stored there is no excuse not to get a hygrometer or two. I’ve had great success with having a person or two over for tea. Most people in the west have only ever had mediocre tea at best. You may be surprised at how accessible this hobby is once people get a proper introduction. Picking the right teas can be tricky, but soliciting feedback and having them smell the dry leaves can usually point you in right direction. In my experience, different types of pu’erh can be hit or miss, but aromatic oolongs/blacks are well-liked. For me, the time to judge a tea is around 7-10 years. Before then, evaluating is even more hit or miss. These two are used synonymously way too much. And it’s bad and lazy. It is true that Hong Kong is an important place for traditionally stored tea. But it’s also a place that is historically important for the 1988 QB, perhaps the most famous dry stored tea. I’ve had home-stored HK tea and it tastes nothing at all like tea that has been warehoused. The same goes for dry-stored tea. The idea that location is the only thing that matters and methodology in storing doesn’t is a gross over simplification. Please use Hong Kong traditional storage when describing teas stored in that way, not just Hong Kong storage. 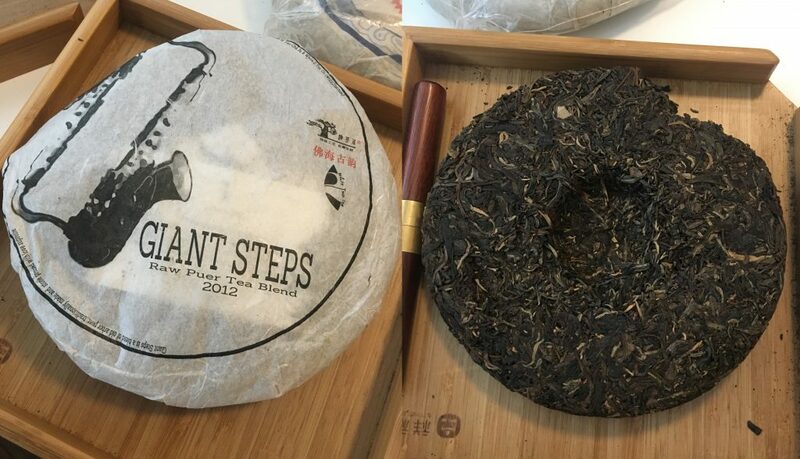 This entry was posted in Article, Raw Pu'erh. Bookmark the permalink. 5 Responses to Things I Like & Dislike. Marco’s Hotbox, Flying Blind, Sharing Tea.. Thanks James for reiterating what I’m trying to do with the hotbox. I knew it would be controversial but I didn’t expect quite the level of groupthink and jumping to conclusions that I’ve encountered. In the first link, I explain carefully what my goals and constraints are, and the fact that this is a controlled test, and not meant as general advice. In a few months I’ll be able to write a bunch of posts giving the two year update, I look forward to it! I am looking forward to it as well. I appreciate the effort to dig deeper into the subject than just conventional wisdom, which, at best I my opinion, just touches the surface of the issue without any real understanding. 32C at ~65RH is close to Malaysian storage. Sure, some people prefer colder/slower conditions, but isn’t Malaysian storage oft-revered for a reason? In any case, I too eagerly await the two-year update. When a puerh storage is “hotboxed” then it is set up to be artificially heated with a heating pad? I like the idea of this, but would be afraid that the heating source might empart a plastic smell or melt as I’ve had a heating mat for plants malfunction and do so. Has anyone found a reliable artificial heat source with no plastic off-fumes? The tea is in heat sealed mylar which basically doesn’t allow any scent transfer. So the only odor concern is whether the heated mylar itself is emitting a smell.